We should take good care of the battery in our cars and its a 100% guarantee that it will never leave us stranded on any travel that we might make, either its a short or long one. Keep Your Car Battery In Charge! Have you ever had trouble starting your car? Or how about stopping at a red light and then suddenly your car is stuck at a standstill? That may be because the battery is nearing the end of its life and can’t keep your car running. It appears that you will need a car battery replacement. As any driver could attest, a dead car battery means your car is of no use. Don’t let that to happen to you! Don’t ever let your battery die on you, keep it charged and clean. Read more on this hot topic here. Always Keep in mind that your car battery is a vital component of your car. Don’t let it die on you or you’ll find yourself in a very dire situation specially if you mostly traverse rough or unsafe location. Don’t be a moron in regards to your car battery. To change a car battery without losing settings, you will need to connect a memory saver to your vehicle. If you skip this step, you will potentially have problems with your car running rough and not shifting normal. You will also lose your radio code so the radio will not work unless you put the code in. Most memory saver devices consist of a small 9V battery and some alligator clips that you can clip to your battery cables. Some also plug into various ports on the inside of your car, like the cigarette lighter. 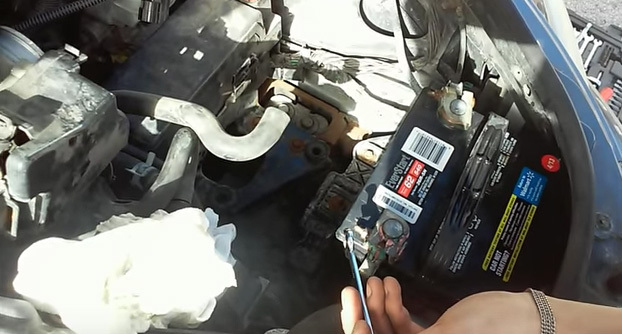 Be knowledgeable on the right and safe way of replacing a car battery. With the proper in depth guide to replacing a car battery that is readily available here. Is your car battery working properly? We at Guanella understand everything about your car battery from its replacement and care. Be sure to give us a call with any questions you might have and if you need collision repair for your car, call Guanella.